Dr. Erica Song always appreciates feedback from her valued patients. To date, we’re thrilled to have collected 8 reviews with an average rating of 5 out of 5 stars. Please read what others are saying about Dr. Erica Song below, and as always, we would love to collect your feedback. Dr Song has been my amazing doctor for seventeen years. I can’t imagine going to a different doctor. I love Dr. Song! It is so rare to find a physician who takes the time to listen and discuss your concerns. Her kindness and gentle manner, and her wealth of knowledge about both traditional gynecology and nutritional and holistic wellness inspire great trust. I always get a thorough examination and appreciate how kind and concerned Dr Song is about my health. I’m very satisfied! Dr Song gave me my life back after years suffering with Hashimotos and RA. I’m off all harsh meds and on all natural supplements. I feel great! Dr Song provides information and care that no other doctor does. An integrative medicine doctor is a must for anyone who really wants to know who her whole health story. The staff is friendly, caring and professional. Dr. Song is an understanding, patient listener, and highly informative. "It is not often you come across a healthcare provider who treats the whole you. This has been my experience with Dr. Erica Song. Not only is she warm, approachable and caring but she listens, she asks questions and treats the whole person. She knows her patients not by their medical records but by who they are. She takes the time to talk to you. She remembers what you have discussed in the past. Dr Song was the only doctor that was able to come up with a plan for an issue I had been having for several years. Living with pain takes a toll on all aspects of your life. Having not ignored this and trying to get treatment/relief, I had seen many different specialities,11 doctors total. While concerned, they all were only able to offer temporary relief of my symptom but not a plan to cure or resolve the issue entirely. Dr. Song was the only doctor that sat me down. We discussed everything and she came up with a plan for me to try. It has been a little over a year that I have been SYMPTOM FREE! She treated the whole me and not just what hurt at the time. She is incredible, she gave me back my life and I owe her everything!" - Lisa A. "A good doctor has the qualities of a good partner – some one who listens, sympathizes and works with you, to resolve issues or maybe just helps to make a forward plan. Erica Song is your best possible medical partner. She is smart, knowledgeable, kind and proactive. Her approach to wellness is holistic, which is really the only approach that makes sense. Everything is related and she’s got the experience to help make the most of all the connections. 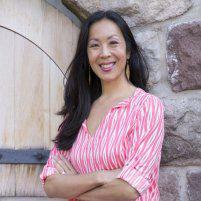 Not only does Dr. Song have impeccable credentials, she has experience as a medical practitioner, and as a woman! I have been seeing Dr. Song since she began practicing. She has always been approachable, open and smiling. She is genuinely concerned about her patients and can think outside the box – she is available and responsive. What more could you ask for in your partner in health and happiness? I recommend her unconditionally." - Melanie P.
“Dr. Erica Song is a knowledgeable medical professional and a warm, personable advisor. She’s been my practitioner for the past 8+ years since I moved to the ‘burbs from NYC. I highly recommend her to everyone.” - Laurie K.
"Thank you for the time you spent with me to help bring my back to my optimal physical balance. Thank you for listening to my individual experience and working with me to find a wholistic approach to physical well being." - Anne W.
“I originally started seeing Dr. Song 10 years ago when she solely practiced as an OBGYN; she delivered my 2 sons. I immediately called without hesitation when I found out Dr. Song had become an integrative doctor. She is extremely bright and knowledgable; a great listener; responsive; and she really works with you in order to come up with an individualized medical plan to get you feeling better. I had no idea feeling better could truly be so simple with the help of having her test for things that others won’t test for in their practices. Integrative medicine is such a fascinating field! I am so pleased to with Dr. Song and her Vibrant Life Medicine practice.” - Naama T.
I would like to take the time to thank you for helping me take control of my health. I think it is so important to practice preventive medicine and not wait until you have a problem. I feel after all the diagnostics and tests done, that I had a clear picture of where I needed to improve. You’re taking the time to explain and go through each item with me and then address what our course of action would be was certainly not what one usually expects. Our treatment plan was not just a matter of taking supplements but how I can change my life style to get the most out of my body. (including changing my exercise routine and trying to include yoga or meditation) Also to make sure there was follow up, so I could stay on target! How much did I take away? Well, I sent you my daughter who wished you were part of her life much sooner. She now talked my other daughter into making an appointment. How reassuring to know that I have started both my daughters on such a healthy path.I sing your praises to anyone who will listen–the fact that Vibrant Health includes all the disciplines necessary to maintain a healthy life with a passionate caring physician to guide and support you." - Diane S.
"Being seen in Dr. Song’s Vibrant Life Medicine practice is just what I have been looking for in a doctor and a medical practice. It is wonderful to have a doctor really get to know you as a person and your needs medically. She is a doctor with knowledge to cover all of my needs. Dr. Song has a warmth and patience about her that made me feel at ease when speaking with her. I was given all of the time I needed to talk to her about the questions I had, and was not made to feel like any of my questions were out of the realm of something that should have been asked. Talking to Dr. Song is like talking to a close friend, only one with all of the knowledge you wish your friend has in this subject area. I look forward to many more years with Dr. Song at Vibrant Life Medicine." - Sharon G.
(believing that mainstream medicine just tries to offer more and more medication to put a band-aid on the issue v. getting to the real issue and fixing IT so that all other bodily functions ‘function!’), I stumbled across dr. song when it was mentioned to me that i ‘had to meet her…’ after a long discussion (she goes by NO CLOCK) and suggestion w regards to my personal situation (48yo male raising twin 7yo boys!) we proceeded to set a follow-up appt to do a thorough evaluation of my EXTENSIVE blood panel. after spending time with her discussing my high cholesterol (YIKES!) and how I need to change this to fix that type rhetoric, she got me on a path that is going to change my life not just physically, but will help pave a path that will build upon a groundwork that I can sustain. ANYONE who is looking for a progressive physician / surgeon who is up to date on EVERY option available for well-being, I HIGHLY suggest you visit Dr. song — she EVEN offers one of the newer DNA tests on the market (pharmacogenetics) which allows her to discover how your body metabolizes medication!!! this is all coming from a man, who stumbled upon an integrative ob-gyn and has referred most everyone I can to her services; she is not only an amazing ‘consult’ but the heartfelt emotion she offers is true to her core in wanting you to feel better, sleep better and LIVE better! I am SO appreciative our paths crossed and look forward to many years of her care and guidance." - Greg L.
"I have been a patient of Dr. Song’s for approximately 15 years. Vibrant Life medicine takes into account all of a women’s complex health needs. As a patient there I appreciate the thorough care that I receive as well as the time that is devoted to my specific health needs. All of my questions are always answered in a way so that I have full understanding and know the proper health related actions I need to take. My personal health is a very important aspect in my own life, and Dr. Song is very understanding and clear with explaining complex medical terms in a language I can understand. She also takes the time to work with me on my individual needs. It is refreshing to have someone devote time to my health instead of rushing me in and out of the door. Also, because of Vibrant Life’s attention to overall health and healthy life styles, it has helped me be more aware of better health practices. The changes I have implemented from my education from my visits has improved my overall quality of life." - Aurora Z.